Body Dysmorphic Disorder (BDD) is characterized by an excessive concern over either a very minor or completely imagined “flaw” in one’s appearance. This preoccupation is not restricted to concerns over weight or body fat, as in an eating disorder, and causes significant distress and impairment in daily functioning. BDD is also known as dysmorphophobia, or the fear of having a deformity. Although BDD has been reported in children as young as five-years-of-age, it’s primarily a disorder of early to mid-adolescence. Dr. Katharine Phillips, professor of psychiatry and human behavior at the Warren Alpert Medical School of Brown University, has studied two different sample groups of individuals with BDD. In those groups, she found that BDD onset had an average mean age of 16 to 17, with the most common age of onset being 12 or 13. Dr. Phillips found that two-thirds of patients had onset of BDD before age 18. Her data shows that BDD is likely to be chronic without adequate treatment. So what are some of the signs and symptoms of BDD? Dr. Phillips notes that patients with BDD are not only preoccupied with perceived flaws, but also tend to be engrossed in repetitive behaviors (i.e. compulsions or rituals). Other symptoms can include: shame regarding appearance, frequent examination in front of the mirror (or an aversion to looking in the mirror), excessive grooming and use of cosmetics, reassurance seeking, comparing appearance to other people, refusal to appear in pictures, desire to “correct flaws” with cosmetic surgery, depression, social anxiety, and possibly a significant amount of issues with age-appropriate functioning. 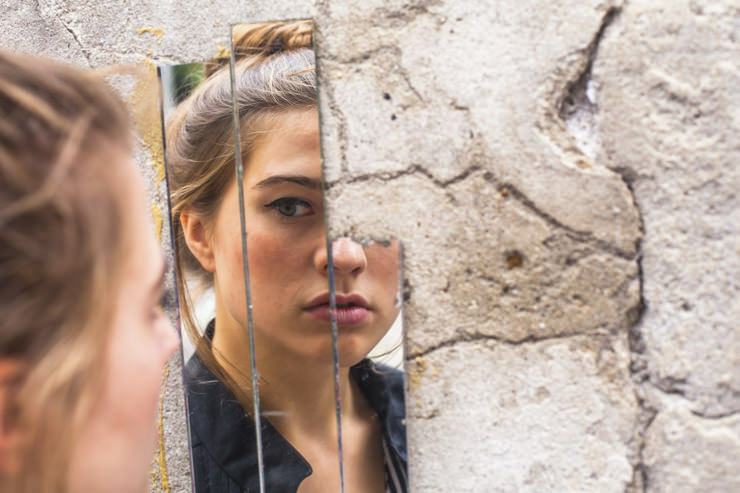 Although any part of the body can be a preoccupation for those with BDD, the most common concerns among adolescent patients include a fixation with skin, hair, nose and stomachs. Interestingly enough, skin ranks as the primary concern among all age groups, including a fixation on acne scarring, blemishes, or wrinkles. Patients with BDD have an average of five to seven body parts that preoccupy them in their lifetimes, and about 40% of people with BDD spend from three to eight hours a day focused on the body parts they dislike. In a sample of 200 individuals with BDD, including 36 adolescents, researchers found that 94.3% of the adolescents reported moderate, severe, or extreme distress because of BDD; 80.6% had a history of suicidal ideation; and 44.4 % had attempted suicide. Researchers also reported that adolescents in the study had high rates of impairment in school, work, and other aspects of psychosocial functioning. Moreover, adolescents had significantly more delusional BDD beliefs (they had complete confidence that their view of the perceived abnormality was accurate), as well as a higher lifetime rate of suicide attempts. Therefore, adolescents with BDD have high levels of distress and rates of functional impairment, suicidal ideation, and suicide attempts. In typical cases with adolescents, they are late for school or refuse to go to school because they think that their skin is ugly, their hair doesn’t look right; their teeth are too yellow, and so forth. They can have such impaired social functioning as a result of BDD that they may drop out of school altogether. In fact, studies show 20-25% of persons with BDD drop out of school because of the condition. Sometimes, adolescents have coexisting substance abuse issues. Other co-existing conditions with BDD include: depression, anxiety, and sometimes, eating disorders. Additionally, many feel especially sensitive to rejection, given that they feel rejected by others due to their perceived ugliness, so they often tend to socially isolate, withdraw and feel alone. Often times people struggling with BDD can be secretive about their concerns because they don’t want to be considered vain, or they’re worried that their concerns will be diminished and considered trivial. Particularly with adolescents, when they are able to gather the courage to share their concerns with someone, the adult may assume that it’s a passing phase for the teen. It may be helpful to ask some specific questions related to BDD, such as: Are you worried about how you look in any way? Are you unhappy with how you look? Depending on the responses to these questions, some follow-up questions could pertain to more specific BDD criteria, including things like: Tell me about your concerns. Do you think about them every day? How unhappy do these concerns make you? Are they getting in the way of your life in any way? Are they affecting school, sports, work, or your relationships? If you receive answers that indicate possible BDD, make an appointment with a therapist. 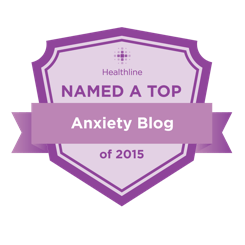 There is hope for BDD sufferers, and this includes cognitive-behavioral therapy geared towards BDD, and/or serotonin reuptake inhibitors (SRIs or SSRIs). These medications are not addicting and are usually well tolerated. Additionally, they can significantly reduce and relieve BDD symptoms and improve functioning. Cognitive-behavioral therapy helps the person with BDD resist compulsive BDD behaviors (mirror checking, for example), and face avoided situations (such as social interactions or situations). It helps the person with BDD develop a more realistic perspective of his appearance. Early recognition and treatment can get kids back on track with their functioning, including their education and social interactions, and much more. It’s important to take note of when concerns about appearance start to really become preoccupying, meaning that it takes up at least an hour of the teen’s day, causes much distress, and begins to impair with daily functioning. This may be a sign of BDD and need further investigation. Parents need to be educated and aware. Teenagers suffering from BDD may ask their parents for reassurance about the body parts that bother them. They might also turn to their parents to buy them cosmetic products or treatments, even including costly cosmetic surgery. It’s important for parents to be educated about the risks associated with many interventions teens want to use, particularly cosmetic surgery and tanning. If the teenager asks for reassurance from the parents, they can remind him or her that these types of conversations aren’t helpful, and for the moment, they will have to agree to have very different perspectives of the adolescent’s appearance. The role social media plays. Because social media plays such a huge role in the lives of adolescents as it is, a teen with BDD can really struggle spending hours upon hours of time comparing his or her appearance with others on Instagram, Facebook, Snapchat, and other social media sites. Others may avoid social media completely, which might have other negative implications for their social lives. It’s important to be mindful of these types of behaviors and point them out to the teenager to see how they might be contributing to their preoccupations and how to reduce the behaviors to lessen their distress. It affects their peer relationships. Pay attention to your teenager’s social network and the types of messages he or she receives from peers about appearance. Help him determine what his values are, what messages he wants to send and receive about the importance of appearance, and how to surround himself with peers who are more positive about body image and appearance. Hilton, L. (2015). “Through a glass, darkly: Pediatric body dysmorphic disorder.” Contemporary Pediatrics. Retrieved on March 1, 2016 from www.contemporarypediatrics.com. Tracy, N. (2014). “Body Dysmorphic Disorder in Children.” Healthy Place. Retrieved on March 1, 2016 from www.healthyplace.com. Healthy Marriages = Healthy, Happy Families!